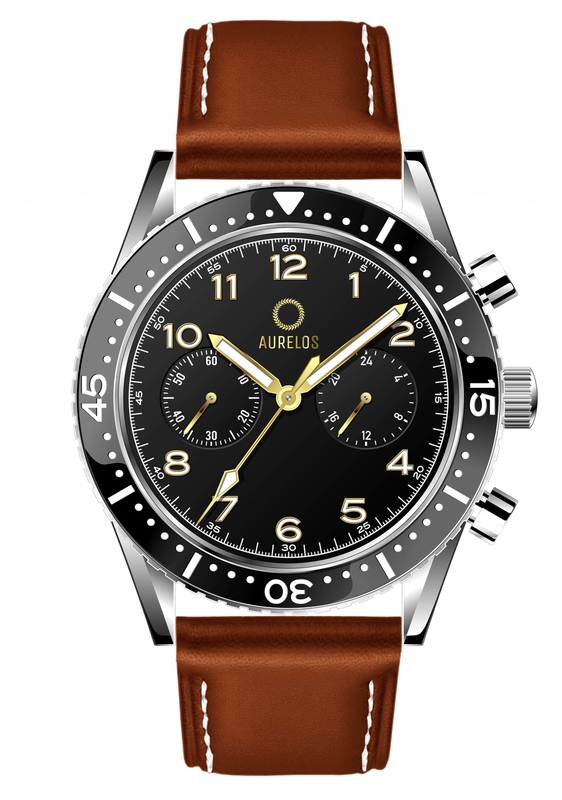 Aurelos Watches was founded to fulfill a simple need: to create a true luxury watch at an affordable price. We believe that everyone should be able to own one truly great watch. And we believe that those watches should last a lifetime. The watch market is filled with mediocre products, made with cheap materials and hastily pushed to stores where they are sold with absurd markups. It takes discipline and focus to break the mold and offer truly quality products at prices within everyone's reach. The name Aurelos comes from the stoic philosopher and Roman emperor Marcus Aurelius. The laurel wreath logo finds its roots in the wreaths worn in ancient Greece and Rome, which were a symbol for victory. The wreath is wound in a circle to represent a never-ending cycle, one of overcoming obstacles and always growing. This philosophy is central to everything we do at Aurelos. Discipline means knowing what is important, and basing everything around those things. For us, this means we hold our customers and products as the ultimate focus.